Blackberry phone repair in Sudbury Cracked screen and more. Blackberry phone repair in Sudbury. Blackberry phone repair in Sudbury. Cracked screen repairs are done in under one hour and we have the best prices in town guaranteed. We can repair any Blackberry device on the market. Most cellphone and tablet repairs can be classified into three major categories: screens, component and water damage. Visit RepairTechRX located on 1212 Lasalle or call us @ 705-920-0747 for quick, quality screen repairs.The best prices in town guaranteed!! Blackberry phone repair in Sudbury. Cracked screen repairs are done in under one hour and we have the best prices in town guaranteed. You can find Repairtech Rx at 1212 Lasalle or call us @ 705-920-0747, right across from Walmart. 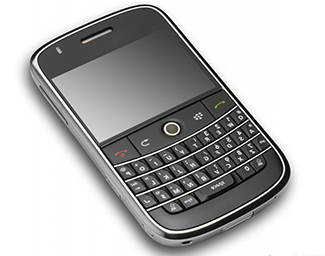 Blackberry phone repair in Sudbury in under 1 hour. Factory assembled display assemblies ensure the phone looks good as new once it is repaired. Glass only repairs allows us to retain your functioning LCDs making the repair cheaper for you. OEM parts ensures the best quality. Experienced technicians ensures attention to detail and excellent customer service. *There may be additional repair charges depending on damage to the device which will be discussed before the repair. A broken screen isn’t the only thing that can go wrong with your device, some of the most common issues with phones and tablets apart from broken displays are problems with charging the device, the various control buttons malfunctioning or the battery starting to give out. Whatever the problem may be we can diagnose the problem accurately and have the Blackberry phone repair in Sudbury done quickly and efficiently. Repair small parts such as a malfunctioning speaker, microphone etc. Repair phones that have trouble charging. Battery replacements available for most devices. Inspections to diagnose malfunctioning phones. Data transfer and recovery service. Same day repairs ensures you are away from your device as less as possible. Small part repairs on blackberry devices vary between $65 to $100 plus tax. Water is to phones and other electronics what kryptonite is to superman. The key to fixing a water damaged device is preventative measures, bringing the device to us ASAP enables us to take steps to get rid of moisture as quickly as possible and also replace and repair any parts as necessary. The key with water damage is to take steps to ensure there is no further damage to the device due to corrosion from moisture. Treatment with iso-propyl alcohol to remove moisture and corrosion. Attempt to recover data from water damaged devices. Using OEM replacement parts to repair devices. No inspection fee is charged if you are charged for a repair. $25 inspection payable only if no other repairs are performed.